Best Playschool and daycare in East Delhi.My son was there for approx 2 years and my overall experience was satisfactory. 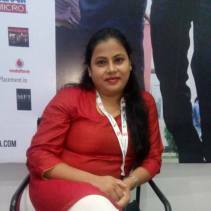 A result oriented professional with nearly 10 years of working experience where given 7 years to education industry in Business Development Administration. Well organized with a track record that demonstrates self-motivation entrepreneurial ability, creativity and initiative to achieve goal. I am a mother of 4 months old Baby girl (Ahana Batra), She is my strength and inspiration. After becoming a mother my love for kids have doubled up and I value importance of early education lot more than before. I strongly feel that “The first five years and so much to do with how the next 80 turn out”. I’m thrilled to take this responsibility where I can be part of nurturing the child step-by-step in the most crucial years of their life. Education: MBA in Marketing, Graduate from Delhi University.